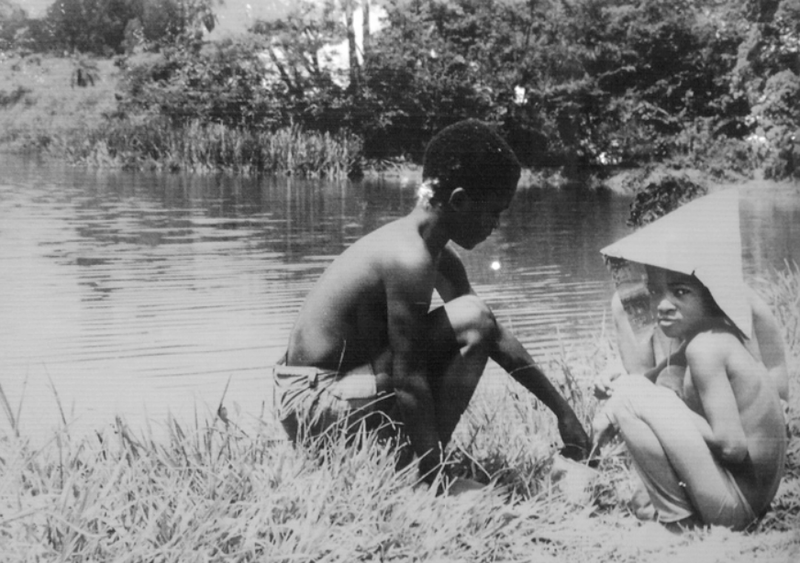 Three boys on the shore of Lagoa Do Nado 1980’s, photographer unknown Sudecap collection. Further south in Belo Horizonte, university students from UFMG mingle with young graduates, creatives and professionals in the cool bars around the city centre. Innovative businesses like service design firm VOEL have their offices here. This is where the city’s zeitgeist is generally thought to be formed, it’s the place to be seen. Billions of Reais are being invested in public transport links and highway infrastructure to support the coming 2014 World Cup, and all the way up to the huge UFMG campus and Pampulha Airport, there are signs that the city is really paying attention to itself, as if preparing to be seen by outsiders. The huge Minas Shopping mall buzzes with the insistent vibrancy of burgeoning middle class consumerism. “The disorderly expansion of this region provoked occupation of areas inappropriate for habitation. Estates were built on hills, steep inclines and on the edge of streams, putting inhabitants at risk. Rede Catitu, Festival Cambio S – a free entry public festival showcasing music from Belo Horizonte, wider Brazil and across Europe. Professional Incredibles, Friction Arts, Mendi Singh and Mike Fletcher joined Gilberto, his partner Glades and Marcos Llobos from Rede Catitu to help in the final stages of organising the first edition of Cambio S, in April 2012. The festival was held over two days in Parque Lagoa do Nado – a huge public park over 30 hectares in size, which nestles in a beautiful valley in the heart of Northside BH. Although the park hosts offices for both environmental and cultural departments of the city, over many years of neglect and a mysterious lack of funding reaching the grassroots, Lagoa do Nado has fallen into disrepair. Rede Catitu decided to do something about this, and started instrumental music festival Cambio S as a means of drawing people back the park. More than just a straight case of audience development, however, Cambio S is cleverly programmed to bring in international acts (this is where PI comes in), alongside some of Belo Horizonte’s upcoming groups, who are more at home in the aforementioned southern and central parts of the city. So it might have been the first time Mendi Singh and Mike Fletcher played in this gorgeous jungle park, in an amphitheatre nestled on the edge of monkey thronged tree banks, next to a lake long frequented by local lads learning to fish, but it was also the first time Constantina shared their breathy folk and electronica influenced sounds in the astounding space, just a few kilometres from where they formed. This is something we have noticed happening in Birmingham through Espirito Brum – as well as forging new international connections for artists, on a local level the more objective perspective on the creative scene afforded by artists arriving from overseas and wanting to work with people whom they meet, based on creative commonalities, has the power to connect Birmingham based artists who would not have worked together otherwise. Cambio S is a free entry festival, the second edition in August 2012 attracted 5000 visitors, and these numbers are set to grow as things are stabilised and Rede Catitu develops its practice. Cambio S is funded through the Lei de Incentivo a Cultura.